Il y a trop de CARAVANES sur nos routes. Everywhere you drive with your normal car, you must go slow becos you are behind such a caravan. Or behind a camion next to a caravan. Or behind a caravan that is over taking a camion. THERE ARE TWO MANY CARAVANS!!! They are blogging the streets. It is insupportable! This is why I make this site TWO MANY CARAVANS! Pourquoi pas les laisser ici, dans un grand parking, ou chez les particuliers? Il existe de l’hivernage, winter stalling, storage, non? Il faut être c*n de rouler des 100aines de km avec une caravane. Plis give me you idees over this subject! Also, send me many pictures and films over caravans. Plus translation in other language. 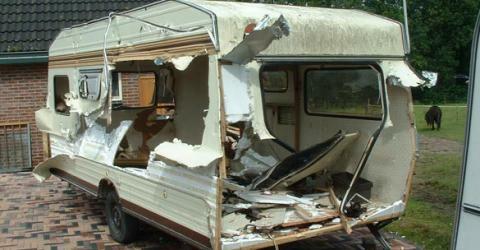 Espécialement in Hollandais, because there is many caravans from the Pays Bas in our roads.